When I came to BRAHM, I knew I would like being here, I didn’t know I would love being here! It is you, the people, that make that true. 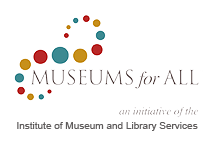 Each of you give to this museum and make it stronger and better. You are helping to shape what BRAHM needs to be, to best serve this community and I thank you. 2017 had many highlights. As of this past year, we are now debt free. It was a growth year for attendance (up 8.8%), our permanent collection had $72,950 in new acquisitions, and our children's programs served 3323 children. 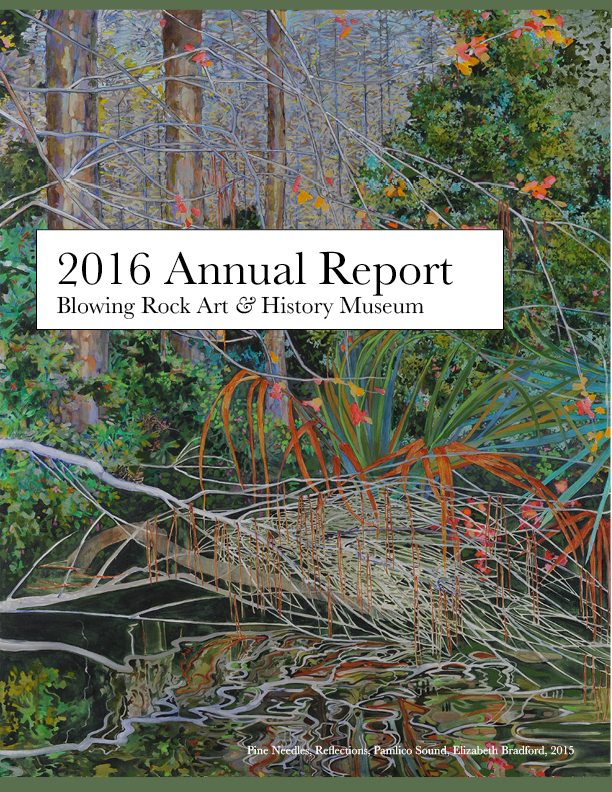 The year was full of exhibition highlights such as Fire and Form, our North Carolina glass exhibit, the opening of our permanent exhibit on the history Blowing Rock, and our Black Mountain College exhibit to name a few. All year long, children’s voices have filled the galleries more than ever as our education program has grown and as we intentionally expand our outreach to families. The list can go on and on. 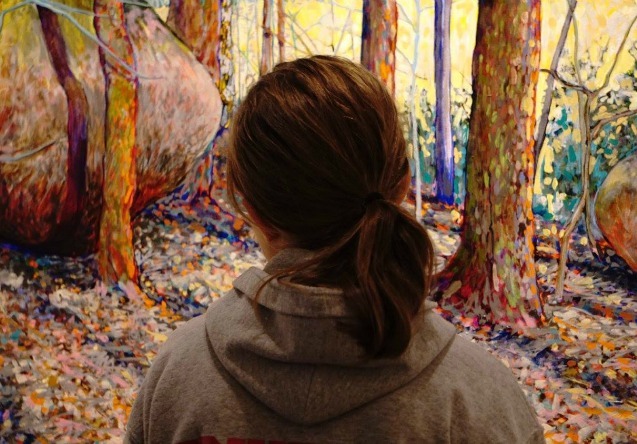 Suffice it to say, your museum is vibrant, it is evolving, and it is becoming part of the fabric of this community. A successful year comes only with hard work and commitment. BRAHM is blessed to have a professional and hardworking staff, a dedicated and inspired Board of Trustees, and a workforce of volunteers and interns that give so much. My thanks to each and everyone. BRAHM strives to be the best museum it can be. We seek your input and your feedback and we invite you to engage with this museum that you have created and that you support. Thank you for believing in your museum.